Duncan Grove FRPS Photography Blog » Duncan’s 10-week Cannizaro House solo exhibition hailed as a critical and commercial success. Jo-Wilfried Tsonga signs one of Duncan’s prints at the Cannizaro House Hotel. 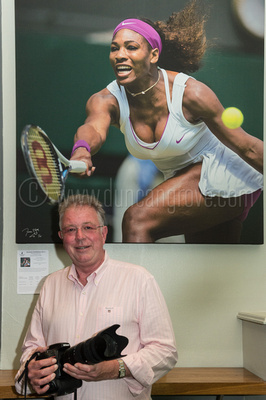 When Duncan’s Cannizaro House Photogrphic Exhibition (see earlier post) launched just prior to The Championships 2014, an AELTC Committee Member commented that the Exhibition had “really put me in the mood for the next two weeks!” Many other visitors echoed his view. Located on Wimbledon Common, Cannizaro House is London’s only 5* country house hotel. During The Championships themselves, the Cannizaro’s public areas were heaving with “the great and good” from the international tennis world and everywhere they went they were presented with Duncan’s 75-print photographic exhibition. Over 30 people accepted the Exhibition’s unique sales terms of “hanging in private residences only, with no commercial use” and purchased prints at prices ranging from £200 to £1,000 each. Duncan is donating all net proceeds, plus a little extra, to an AELTC-approved tennis charity. Many celebrity players viewed the Exhibition; Andy Murray and Jo-Wilfried Tsonga were even kind enough to sign prints! 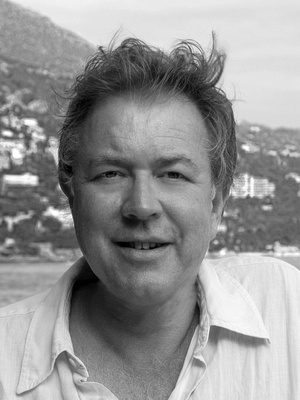 Duncan comments:- Each year hundreds of pro photographers capture thousands of great Wimbledon action shots but the majority are destined primarily for newspaper, magazine or web publication. Many of my own images are published in this way but I always shoot with large-scale print reproduction in mind. The objective of the Exhibition was never commercial; in truth it was more an ego-massage! It is very gratifying to be able to print the images large, share them with thousands of visitors and even receive one or two nice comments! I am grateful to Charles and the Cannizaro for the support they have given me and most of all to the AELTC for the very great privilege of photographer accreditation at what is by some considerable margin the UK’s largest and most prestigious annual sporting event. Photos of the exhibition itself can be seen here. The actual images that made up the exhibition can be seen here. A .pdf copy of the exhibition catalogue can be downloaded from here. Andy Murray at the Cannizaro Hotel during Duncan’s exhibition. Ana Inanovic at the Cannizaro Hotel during Duncan’s exhibition. Duncan Grove FRPS in front of one of his images exhibited at the Cannizaro House Hotel.